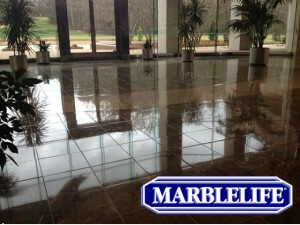 MARBLELIFE® is the largest marble polishing and floor restoration company in the country, with more than 50 locations. Local services are offered by our Harrisburg location. CALL 888-524-3372 For your FREE CONSULTATION or click the "Request An Estimate" button. Our growth driven by an unwavering commitment to exceptional results, beautiful work, delivered on-time by our professional MARBLELIFE® trained craftsman. With more than 25 years experience, MARBLELIFE® has refined its service to make this a clean worry-free experience for each of our many clients. Weekly, Monthly, Semi-Annually and Customized Programs designed to match your traffic loads. If we are maintaining your floors we guarantee you will NEVER need to restore them again. For more information or to hire a MARBLELIFE® Stone Care Professional visit http://marblelife.com. For professional grade products go to http://marblelifeproducts.com. Does Your Grout Look Dull? Is Frustration Setting In? Copyright © 2019 Marblelife News. © 2011 MARBLELIFE®, Interlok®, and Intercare® are registered trademarks of MARBLELIFE, Inc. VinylGuardtm, TileLok™, CleanShield™ are trademarks of MARBLELIFE, Inc.